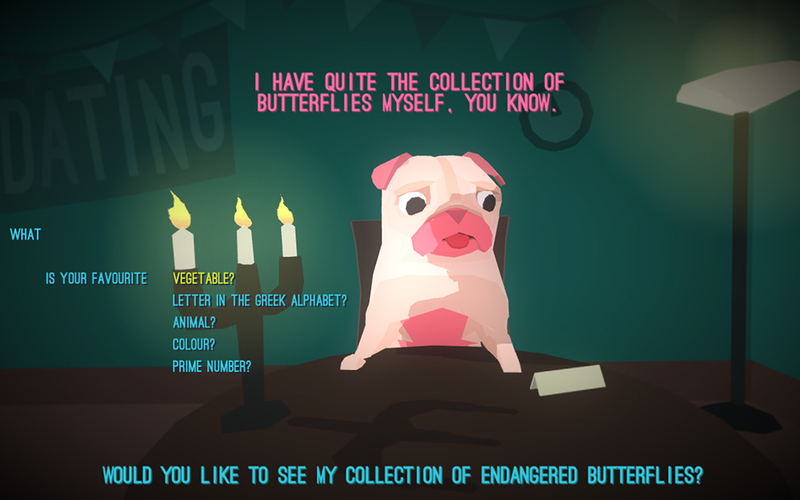 George Batchelor’s Hot Date is a dating simulator featuring a talking pug. You’re presented with a series of phrases that lead to different questions, many of them silly and ridiculous. Available for Windows, Mac and Linux.